yeah..... i see that..... seems very similar for some reason, I can't put my finger on it. Actually this is the "ALL-IN-ON" Full Tank Shot Thread! Its a ALO FTS thread dude. When I come on here I want to see ALO tanks not some 10 gal some guy got from a garage sale. Rodpod - very very nice! Here's a FTS of my 29BC as of today, but it's always changing. 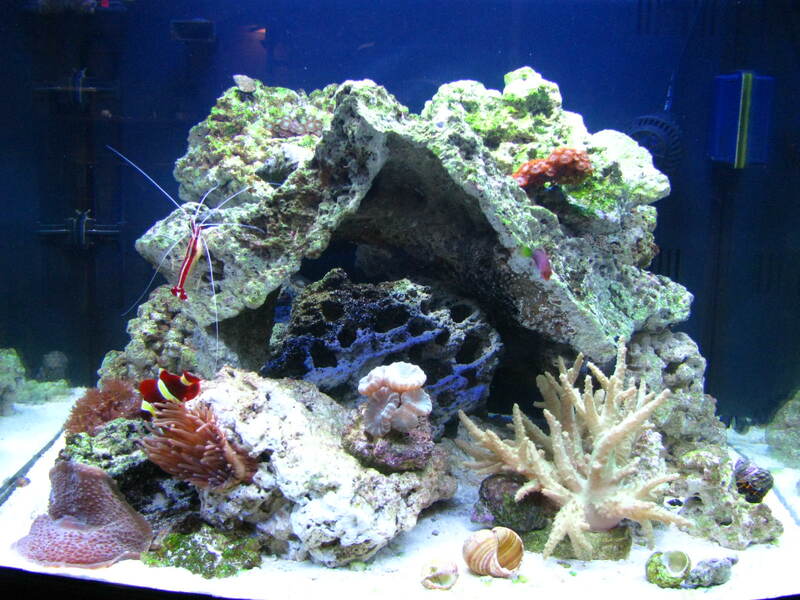 Nice looking tank..sweet looking corals. Is that xenia in the upper left corner? See some ricordia, zoos, montis, acans, you got a little bit of it all in there. What kind of anenome is that? Here is mine, running in its current form for about 1 year. 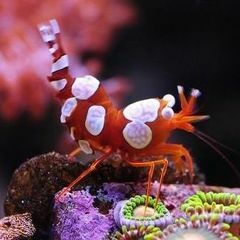 Hey skimmerdude...for about 2 seconds when I saw your tank pic...I swear I thought your koralia on the right side was a HUGE niger trigger. That snail on top looks just like that little fin they flip up. 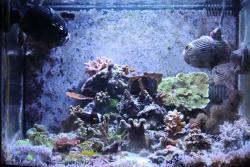 Nice tank, all of you guys have nice tanks....I'm still trying to get that great coralline growth you all have...its happening, just not as quick. HA . . . that would be awesome. I have always wanted a niger trigger. For coralline growth, I have been using b-ionic. I monitor my pH and test Ca++ and alk. Basically, the more B-ionic I add, the more my tank requires. As the calcification increases, I require more supplements. I also have been using purple-up. A lot of people have bad things to say about it, but it seems to work for me. As you can see, my entire back wall is covered, and I need to do a better job scraping the rest of my tank. My calcium demands have been so high, I think I am going to get a calcium reactor. B-ionic is a 2 part additive right? I'm using a 2 part myself(can't remember the name of it to save my life right now! ), plus I throw in some purple up every now and then. 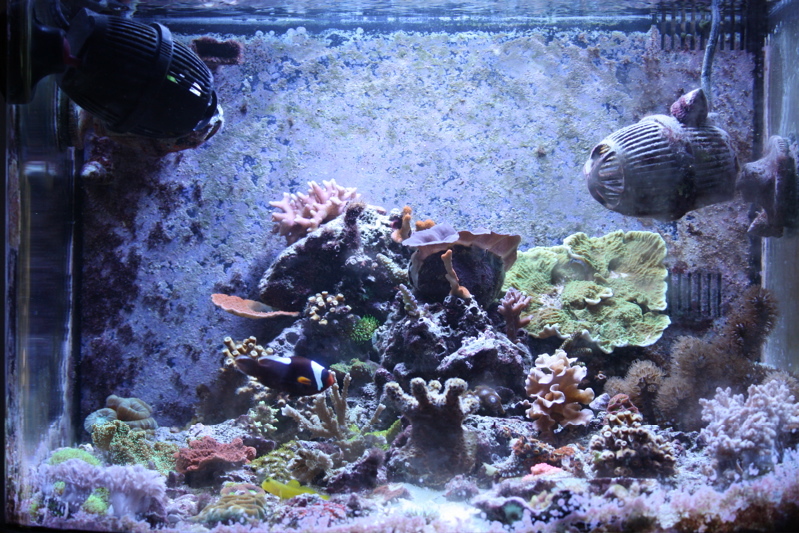 When you say your tank requires more, do you actually add more than the suggested amount of the B-ionic or are you talking about just adding more calcium? What level is your calcium at? I use Kent liquid reactor and purple up about twice per month.The coraline went nuts! I found out the hard way a few months ago not to overdose.A little goes a long way. New to the all-in-one hobby. This is my BC29 after about 10 weeks. 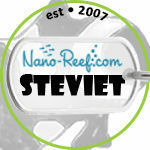 Working on making the middle chamber a fuge this weekend with Chaeto to help with my Nitrates (20). I absolutely love this stuff!